Welcome to the game, folks! Though we're still waiting on one or two more players, we can use this thread in the meantime to work on character creation/group development. I'll send you a character sheet template shortly (it'll go in the section of the board marked "Player Characters"); please use its layout when you post your sheet to the Character Thread section of the forum (as it makes it easier for me to reference, update and check). Cairo's sheet is up and has been made Private, though I still need a background for it (and a name, and a few other details). That's the great thing about having visions regarding the future - you don't have to commit to them being true at this point. The Gand could very well turn out to be a crackpot and that's perfectly fine by me. Or he could take a leaf from Yoda's book and claim always in motion the future is. So, let's say the Gand had a vision about Klay's future that convinced him not to capture the Wookiee (wether he actually could've done that or not is another matter entirely). Furthermore, he thought it prudent to aid the big chief and offered to tag along. Rale, how do you feel about this connection between our characters? Would Klay accept the "protection" (as the Gand sees it) of a bounty hunter who trips on gasses and claims to see visions of the future? Or do you have other ideas that we could explore? "Before their characters begin the game, players may spend these credits to purchase items from Chapter 5: Gear for their character. They may not purchase Restricted (R) items unless specifically given dispensation by their GM." Yeah sorry, misread/misremembered/misspoke on that one. What I meant was should there be any restrictions from the rules based on where we are starting this campaign? Given that Church said basic rules, that's an answer to that. “ Originally Posted by Cairo # That's the great thing about having visions regarding the future - you don't have to commit to them being true at this point. The Gand could very well turn out to be a crackpot and that's perfectly fine by me. Or he could take a leaf from Yoda's book and claim always in motion the future is. I'm cool with this. You probably caught up with me while I was hiding out on Nar Shadaa (as most people do) working as a bouncer for a cantina. The Gand followed Klay's trail to the moon, took a mist trip in some run-down building to find clues to the Wookiee's whereabouts and experienced a vision that made him doubt the justness of this particular job. Later when he tracked Klay down to the cantina he experienced another vision that further reinforced his feeling that there was good reason to let the Wookiee win...d down a different path than that of incarceration. Perhaps the Wookiee had grown accustomed to keeping an eye out for bounty hunters and spotted the Gand, resulting in a chase. Combine two strangers and a slight language barrier (one speaking Gand, the other Shyriiwook) with adrenalin and you have a recipe for misunderstanding and mistrust. With his back against a dead-end alley the Wookiee was caught, faced by this insectoid who did his best to explain the situation in an extremely broken Basic; he failed and got a faceful of furry backhand for his troubles. There was a brief scuffle with the much smaller Gand trying his best to evade and the much bigger Wookiee trying to grapple him. Unknowingly the Gand had lead another bounty hunter to Klay's trail and the third party made his entrance while the duo was busy going in circles. Though it seemingly made the situation worse for both, it also served the Gand's cause. With a common enemy - one who had clearly witnessed the Gand's hesitation no less - the confusion started to clear up in Klay's mind. Forced into co-operation by the circumstances they thwarted the unidentified bounty hunter and fled into the night. ...which could provide our GM with a plot hook to use at a later time How does this sound to you, Rale? Their shared need to get away might be how they hooked up with the other characters. Yes indeed, I like it. Let's make the third man in be a Mandalorian bounty hunter, with their physical similarities to Clone troopers could explain why Klay saw him as a bigger threat than Gand he already head in his paws. Most clones have died off by this point due to advanced aging. But I'm sure some newer, less effective models have survived somewhere. No, I know it wouldn't actually be a clone trooper, just if it looked similar in some fashion, like a Mandalorian bounty hunter or something, it would bring up bad memories for him and be viewed as a bigger threat that the Gand. I'm liking how both my character and his relationship with Klay is looking. The Gand is still missing a motivation, but that's mostly because I want to see how the group turns out as a whole. As it stands one good motivation for him would be something that relates to Klay; Emancipation, Non-Human Rights, Comrades, Extended Clan or maybe even Former Nemesis. Based on my write-up of him, Expertise might also fit. Church, there was a third player interested in joining the game - anything new on that front? I've not heard back from hopeless yet. Beyond that, I've received no further claims of interest. If interest does not pick up, we can always BEGIN the game with just the two of you. It'll be harder in some areas, but I'm certain that such problems could be overcome with teamwork - it also gives you an excuse to recruit yourself some help IC. Be sure to update both of your sheets to include the Force Rating and Critical Wounds headings that I've added to the Template. Reputable Deals: No difficulties dealing with mid-level government and corporate officials. May purchase licensed and military equipment through legitimate channels. Disreputable Deals: May deal regularly with specific black markets, if characters are known to them. May be known to specific criminal enterprises, but not widely recognised. I noticed that two other people responded to the post on FFG's Edge of the Empire forums where you mentioned this game, however it looks like they are interested in a Skype / Google+ Hangout game. Personally I have no objections to starting with just the two of us, however my personal experience in the past has been that in the long run it's better if there are three or four players around. It keeps things interesting and disagreeing on something IC doesn't have as big of a negative effect on the story. Just posted on FFG's forums. Hopefully we'll get at least one player from among their number. I agree that more than two is best, but if we fail to net any further interest beyond yourselves then maybe two will do, at least for the time being. More people might profess interest as the rulebook is released next month (or people begin to follow IC posts and stories). Rale - your thoughts on starting with just the two of us? Church - would you have us start on Nar Shaddaa (some short time after Zed and Klay met, basically they're still on the run) or would we be starting somewhere else and / or after much more time? I second this sentiment. I agree more would be better, but if we want to start without more that's fine too. Maybe having a few good scenes on the boards will draw some new players in just because they want to be involved our awesome. Any particular reason why you've singled out Nar Shaddaa? It was one of the few starting locations I had in mind, but the EXACT starting point of the campaign was dependent on who I got for the game, and what they were playing as. The basic mission premise and content would remain the same in any case - the fluff and progression, however, would depend on the where. Okay! After this weekend, I should have access to my rulebook once more; until then, however, I believe that the only thing left to do (besides recruiting) is discuss what ship you both travel on, and how it was acquired. “ Originally Posted by Church # Any particular reason why you've singled out Nar Shaddaa? Rale mentioned it earlier in this thread when we were discussing how our characters met - he said Klay would've been hiding from bounty hunters on Nar Shaddaa, so that's where the Gand would have tracked him to. Since we're starting with a ship, however, that suggests weeks or months have passed since the two met and they can be pretty much anywhere (except Nar Shaddaa). And really, how much time has passed since the two met is a pretty important detail as it determines the state of our characters' relationship. Right after running into one another Klay would probably not trust the Gand as far as he could throw the bug (and I imagine he can throw Zed quite some ways). 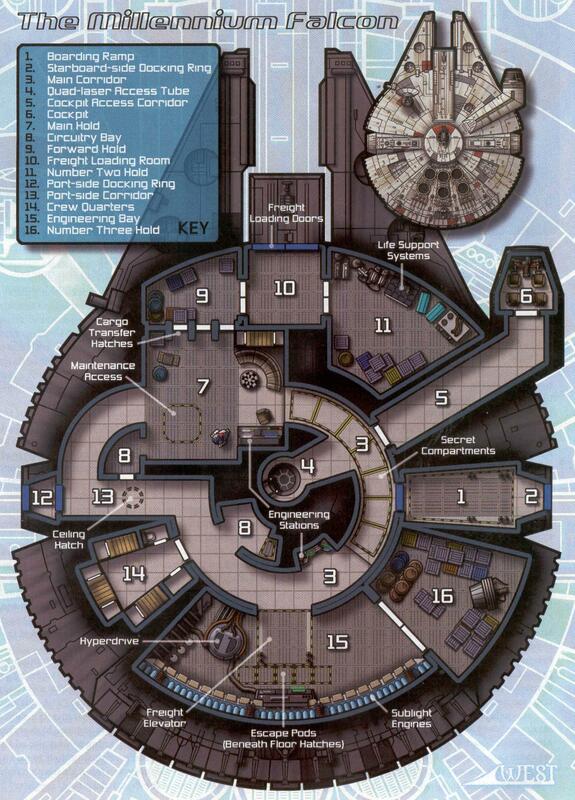 As for the ship - personally I don't really feel any kind of "connection" to the 720; the YT-1300 is the iconic fringe-going privateer ship for a sizeable group of characters (which we don't currently have); and considering our characters' professions and life situations a Firespray would be a thematic fit. Reverse that for order of preference, then: Firespray, YT-1300, 720. I prefer Favor / Debt or no group Obligation. Last edited by Cairo; 16th of March, 2013 at 17:01. Rale isn't the type to own a ship. Also I like everything quoted below. We're in agreement then! A Firespray-class patrol boat, operated (if not owned) by Zed. Any thoughts on that, Church? Does Zed need to convert one of his Obligations into Favor or Debt in order to own the ship, does he own it without Obligation or is he operating it for someone else (but doesn't actually own it, thus no Obligation)? I'm happy with any of the ship types available, though I would remind you that we may be expecting an addition of one or two more players very soon (zzzMan74 and possibly Darius), meaning that a small-sized ship might not be quite so comfortable over the long haul. As to whether you need to convert an Obligation, the answer is no: you may use your ship as story justification for a pre-existing Obligation (Debt, Crime, etc), but you do not NEED to convert one now. I'm waiting to hear back from my last few players; when their characters are done, we'll be ready to begin. 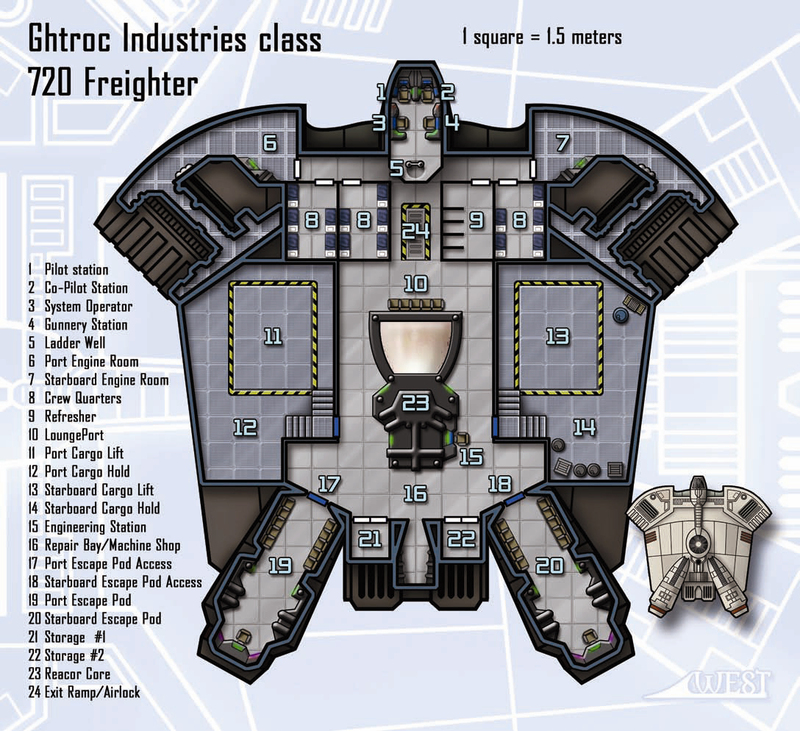 “ Originally Posted by Church # I'm happy with any of the ship types available, though I would remind you that we may be expecting an addition of one or two more players very soon (zzzMan74 and possibly Darius), meaning that a small-sized ship might not be quite so comfortable over the long haul. Seriously though, now that the situation's changed we can re-evaluate ship type and ownership. If either one of the potential new characters is a pilot, that would solve the ownership issue (Zed doesn't have pre-existing Obligation that would explain the ship). I know both Rale and I would be fine with the YT-1300. Last edited by Cairo; 19th of March, 2013 at 17:19. The YT-1300 might be a better choice, especially now that my potential new player list includes zzzMan, his wife (username unknown), and Darius, pushing us up to five players. Something that's now worth considering: how this increased number will affect your starting Obligation Threshold. If I recall correctly, five PCs means a base Obligation of 10, meaning that the Threshold will already begin at 60 (15 for the Marauder, 15 for the Bounty Hunter, 10 for Darius, 10 for zzzMan, and 10 for his partner); if each of the newcomers chooses to increase their Obligation for credits/XP (by a maximum of +10), then the Threshold will peak at 90 (15 for Marauder, 15 for Bounty Hunter, 20 for Darius, 20 for zzzMan, 20 for his wife). So you're looking at an overall Threshold between 60-90. Plan accordingly. I'd recommend that all my new players jump in with the old and begin discussing character concepts/ideas, and figure out how they relate to both the Gand and the Wookiee. Once that's done, and my three new players have gotten up character sheets and backgrounds, I will give each sheet one last appraisal, and then get the first post up. Sounds like you folk could use a pilot. I was thinking of going with a Human Smuggler (Pilot). I just acquired the book last night, and have not had a good chance to read through it yet, but that seems like it could work for a concept, yes? All times are GMT +10. The time now is 06:01.